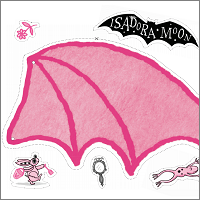 Isadora Moon loves to play. 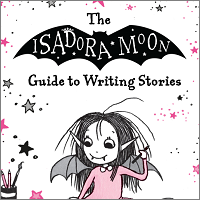 Join in with these fun activities, or get some inspiration to write your very own story from the Isadora Moon Guide to Writing. 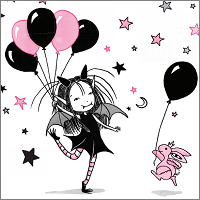 Tips, tricks and activities on creative writing from Harriet Muncaster. Dress up Isadora and Pink Rabbit. 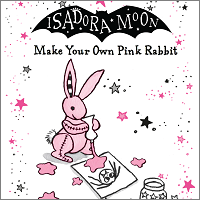 All you need for your own Isadora Moon party! 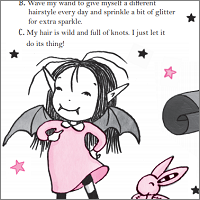 Are you more fairy, vampire, or a bit of both? 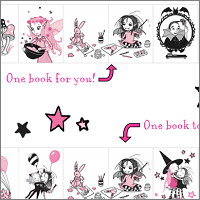 Make your own Isadora Moon mini books with a friend! 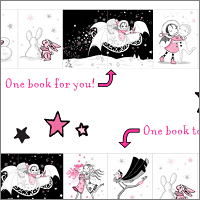 Make your own winter-themed Isadora Moon mini books with a friend! Make a beautiful, life-sized pink rabbit using these detailed instructions. Some components may not be safe for very young children, and it will require an adult with some sewing confidence to make. Make a beautiful, life-sized pink rabbit using these simplified instructions. 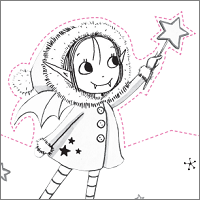 Ideal for younger children, it uses materials easily available in most craft shops and doesn’t require a sewing machine or any special equipment. 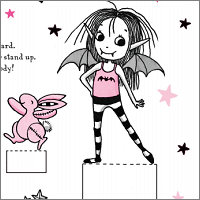 Who wants a fairy on the top of the Christmas tree when you can have a half-fairy, half-vampire? 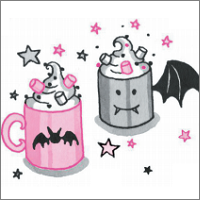 Isadora loves her mum’s hot chocolate – and so will you!